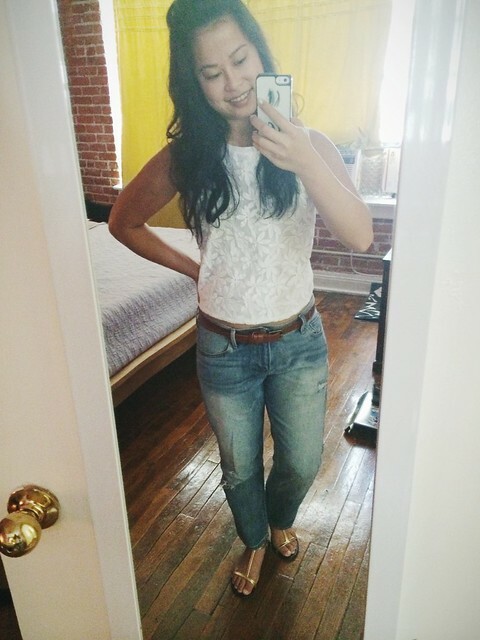 Style doesn’t get any more basic than blue jeans and a white top. This combo was my absolute favorite in grade school and involved pieces from Guess. These days, my look has evolved a bit, but for a healthy dose of whimsy, I like to add some texture into the mix. Can we talk about those daisies?! It was love at first sight when I saw it on the rack at Target.